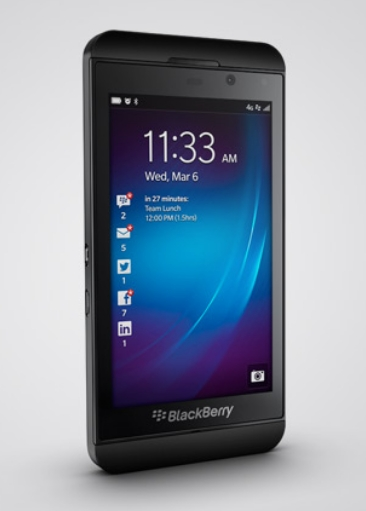 BlackBerry 10 to be released mid-March in US | BlackBerry Blast! The new BlackBerry Z10 has launched in the UK and Canada, but US customers will have to wait until at least mid-March to get their hands on one. BlackBerry CEO Thorsten Heins confirmed the launch date in an interview with the Associated Press. Mr. Heins said he was disappointed in the mid-March U.S. release date and blamed it on the U.S. carrier's rigid testing system. "We need to respect that. Am I a bit disappointed? Yeah, I would be lying saying no. But it is what it is and we're working with all our carrier partners to speed it up as much as we can," Heins said in the interview. Rumors have been spreading that T-Mobile will launch their BB10 device on March 27, while other carriers have been mum on release dates. BlackBerry 10 is off to a pretty good start as sales numbers so far have exceeded BlackBerry's expectations. We'll see if the trend continues when it his the US.